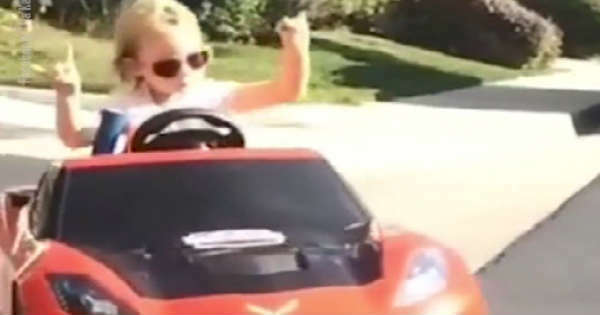 This 5-Year Old Girl Drifts Her Corvette! Amazing! - Muscle Cars Zone! Good for this kid. Her cool parents gave her the real opportunity to find her passion outside the “girl norms”. Obviously her parents gave her an opportunity to become confident behind the wheel and to understand what it means to be safe while driving. Of course she is being supervised and I am willing to bet that the children who sits behind the wheel for the first time when they are 18 or 20 will be less safer drivers then her. My one and only issue is the helmet thing. It is obvious how many times this little girl has practiced the same moves, but she need to wear a helmet for the love of all things in every second she steps in the car. Other than this issue, rock on little girl. Please feel free to share your thoughts in the comment section below and tell us what do you think about this cool little lady. Also please share this great post with your friends and family on Facebook.